Toronto Police worked with law enforcement and government agencies in Canada and the United States to shut down a pyramid scheme that allegedly took more than US$93 million from thousands of victims around the world. Christopher George Smith and Rajiv Dixit, of Toronto and Vancouver, pleaded guilty on April 27 and were given two-year conditional sentences with strict conditions, a prohibition from involvement in multi-level marketing schemes and a $4 million fine. Both men are 45. Launched in January 2013, the investigation resulted in the arrest of people in December 2015 who were jointly charged with offences related to the operation of the pyramid scheme. Smith and Dixit admitted to realising a net gain of almost US$50 million, much of which was restrained in civil action. Toronto Police is part of the Toronto Strategic Partnership against Cross Border Fraud. Other members are the Royal Mounted Police, the Competition Bureau of Canada, the Ontario Ministry of Government & Consumer Services, the Ontario Ministry of Finance, the United States Federal Trade Commission and the United States Postal Inspection Service. The Financial Transactions & Reports Analysis Centre of Canada also provided investigative assistance. “This matter first came to the attention of the Competition Bureau who informed the Partnership. 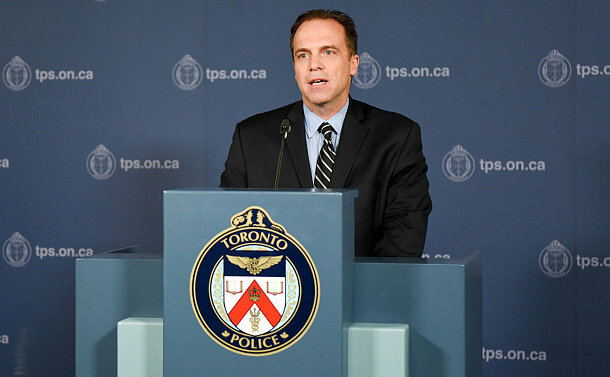 The case was taken on as a project with full participation from all members,” said Detective Sergeant Ian Nichol of TPS Financial Crimes. Nichol said this investigation was unique. Pyramid schemes, noted Nichol, are fairly common and warned that people should do further research before investing. Support that included additional staffing, affiants, computer forensics, forensic accounting, research, investigation outside of Canada, technological support, file management and funding was provided by the entire membership. Nichol said the project was very demanding on resources during both the investigation and court processes. “The Partnership paved the way to obtaining resources and support in a timely efficient manner, that would have otherwise been difficult to obtain,” he added.